Loch Kelly is a New York based psychotherapist and meditation teacher that teaches non-dual meditation. 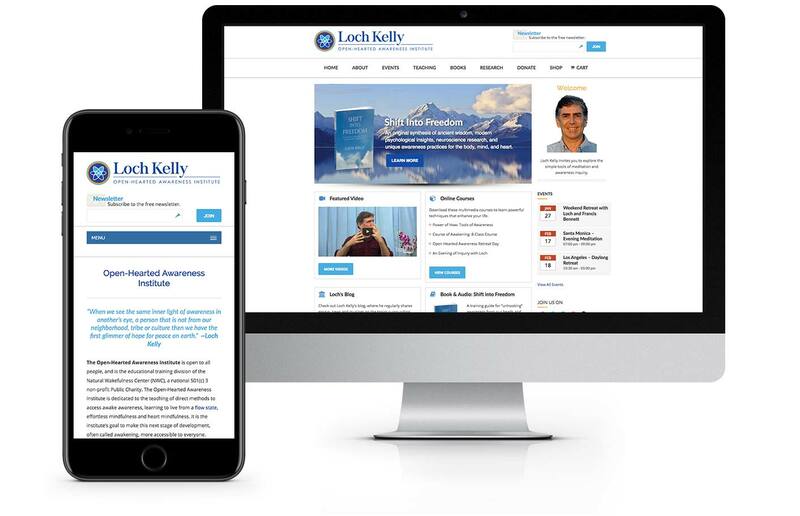 Using Loch’s defined aesthetic, Minneapolis web designers Virtual Monk created a highly functional website featuring an e-commerce store that sells digital downloads of his lectures, a multi-view event calendar, and streaming video and audio. lochkelly.org is a clean website with professional appeal that, together with his new book, has helped him grow to the national stage.